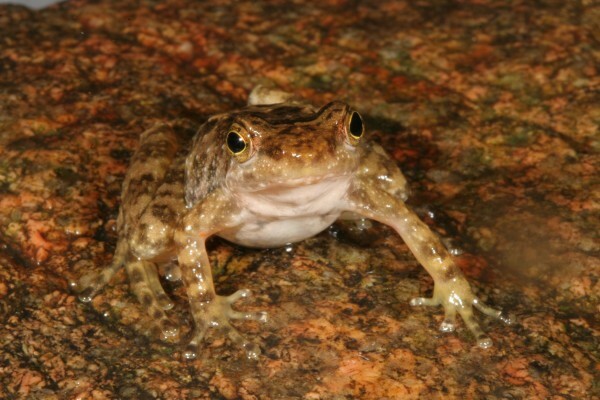 About 27 years ago, no one in Australia thought twice about the Eungella torrent frog (Taudactylus eungellensis). Then, suddenly, populations first at low altitudes and then even those higher up began to decline. For more than five years in the late 1980s and early ’90s, no one reported seeing these frogs. Fortunately, since then nine small populations have been discovered, although they are reproducing slowly. The frog is still listed as critically endangered, and the fact that its habitat is small and fragmented means it isn’t out of the woods yet. Scientists don’t know what caused the population to plummet in the first place, but chytrid may have been involved. 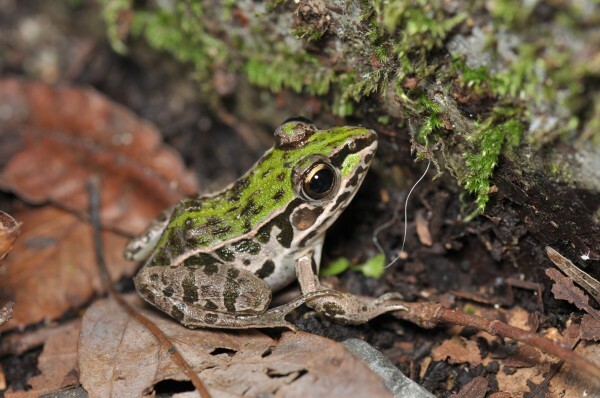 Now, important habitat is protected and the frog is listed as endangered by the Australian legislature, while scientists are working to learn more about it. Photo by John Augusteyn via Arkive. 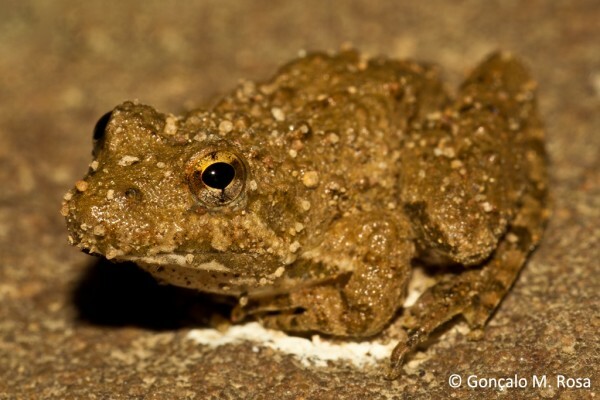 The dark-spotted frog (Rana nigromaculata) sports stylish dark grey spots on its olive skin. Found in Japan, Korea, China, and the Far East of Russia, this near-threatened frog lives in stagnant water in meadows, forests and deserts; it has a particular soft spot for rice paddies. 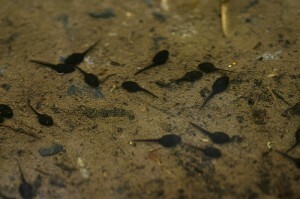 In fact, diversifying crops are one factor causing trouble for these frogs. Other threats include the live animal trade, harvesting for food, and water pollution. Each year, dark-spotted frogs hibernate from between late September and November to between February and May; they reproduce after they wake up from their long, refreshing rest. Photo by Shouma Sejima via Arkive. Spring is coming, time to get planting. But let’s think of our amphibian friends when we do. Last month, my husband and I were laying some huge pieces of flagstone in our backyard. We had moved them into the yard over the winter, but had not placed them yet. It was a nice day, so we decided to lay out our walkway. Lo and behold, my husband exclaimed that there was a baby snake under one of the stones. I took a closer look, and to my surprise, there were actually, not one, but three salamanders! What a discovery! These little guys were clearly hibernating under our flagstone. As I picked them up, they stretched in the sunshine and started to crawl around in my hands. So cute. I placed them in a safe place in the garden and put another piece of flagstone over them for safe keeping. I am always amazed at the critters I find, even in the soil, when I am gardening. One day I found a toad, buried deep in the soil. I caused him serious injury, and have never forgotten him. To this day, I don’t dig in my garden until the soil has warmed enough for these guys to come out of hibernation. I have also met a few snakes and a turtle that have taken up residence in my yard. I have a toad that visits my backyard annually. 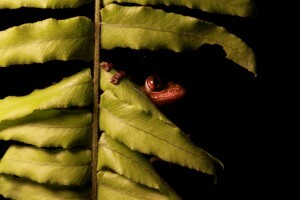 With the weather warming, I am keeping my eyes peeled for him. Making sure these creatures are safe is important to me. So I try to not use any pesticides in my yard. I was having problems with slugs on my hosta one year, until I surrounded the plants with sand. Apparently slugs don’t like to crawl through sand. No problems after that! Overuse of pesticides kill frogs, fish and insects that live in your watershed. And farther down the river it can poison those tasty shrimp, clams and crabs. Knowing exactly what insect problem you have will help you select several effective treatments. Several alternatives include manual removal, physical barriers, attracting beneficial insects, and diversified planting. For more alternative pest control methods, please click here. 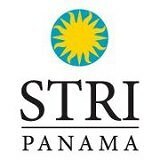 We can all do our part to help frogs, toads and other amphibians in our backyard and by supporting the Panamanian Amphibian Rescue and Conservation Project. 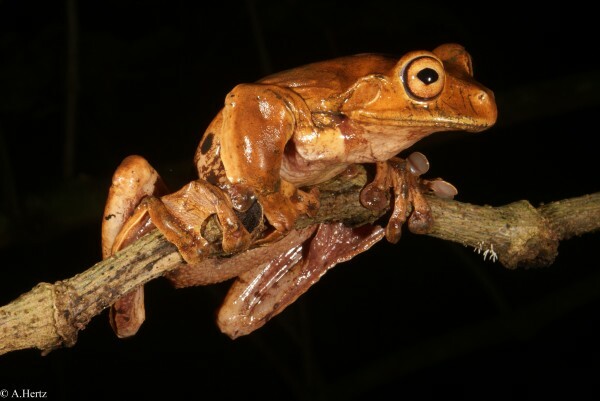 The fringe-limbed tree frog is an extremely rare find, and therefore not much is known about this elusive species. 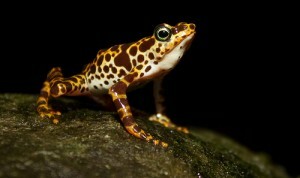 These frogs live high in the canopy and are often overlooked. For this reason, it is difficult to conduct proper population counts, though they are considered endangered. The prominent feature of these frogs is the dermal fringes between their fingers and toes. Scientists believe that this webbing can act like a parachute or glider wings when the frogs extend their fingers and toes outward, which would allow them to do just that— hop and glide from tree limb to tree limb. However, though this behavior has been observed in other related species, these particular guys have never been seen doing so. The frogs also have sticky disks at the tips of their fingers. Based on individuals that have been found, this species’ coloration can range from lavender-brown, yellowish-white, brownish-tan, to green. 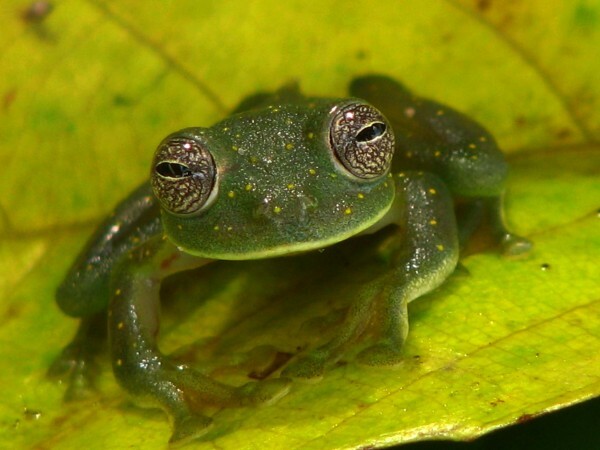 Native to Costa Rica and Panama, these frogs are nocturnal and from what researchers currently know, prefer living in humid premontane and lower montane forests. Being that these frogs spend most of their lives in the upper canopy, breeding, egg-laying and juvenile development occurs in tree-holes. The main threats to these frogs are general habitat loss due to deforestation primarily for development and livestock ranching.